Establishing and utilizing registered confidential informants, resulting in effective investigative action. He is also a co-coordinator and instructor of the MNRF Confidential Informant Course. Over the years, Officer Gilboe has mentored more than 20 conservation officers, police officers and park wardens on enforcement related issues and investigations. Participating in the community both in his MNRF capacity and as a volunteer in his personal time. As a board member for Crime Stoppers and Ducks Unlimited, a coordinator of food drives, and a professor of Sault College's Fish and Wildlife Program among many other roles, he is well known to the community as “Officer Pete”. Gilboe started his career as a conservation officer with the Ministry of Natural Resources and Forestry in 1989. He has worked in Carleton Place, Moosonee, Sault Ste. Marie, and North Bay districts. Officer Gilboe has dedicated significant personal time to the Ontario Conservation Officers Association, producing news releases for public awareness, and has also been an integral part of organizing the Ontario Conservation Officer Association Kid & Wardens Fishing Adventure. 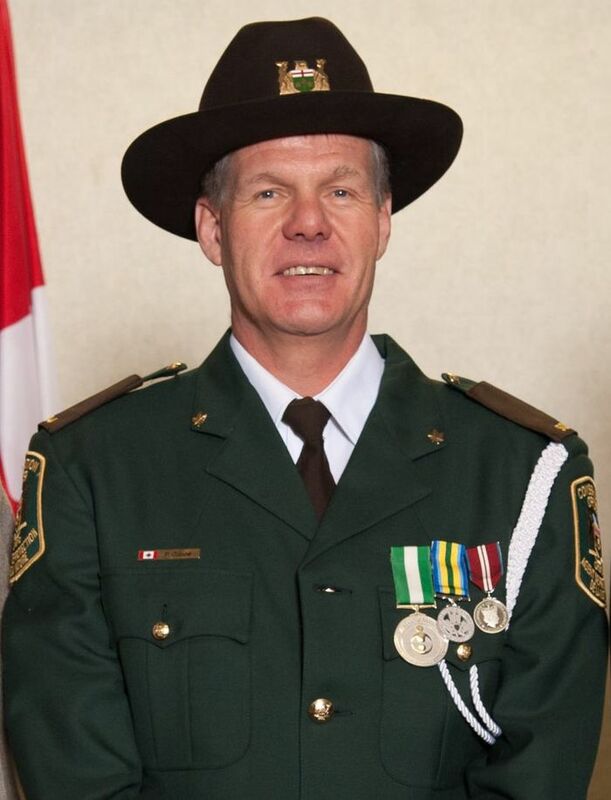 Gilboe has also been awarded with the Ontario Conservation Officers Association Award of Valour for aiding a distraught woman in a crisis situation, and the Ontario Conservation Officers Association Lifesaving Award for locating and rescuing a lost canoeist in a remote area. Conservation officers are professional law enforcement officers trained to preserve and protect the province's natural resources. This document was published on August 14, 2015 and is provided for archival and research purposes. Peter Gilboe is the 2015 Conservation Officer of the Year.